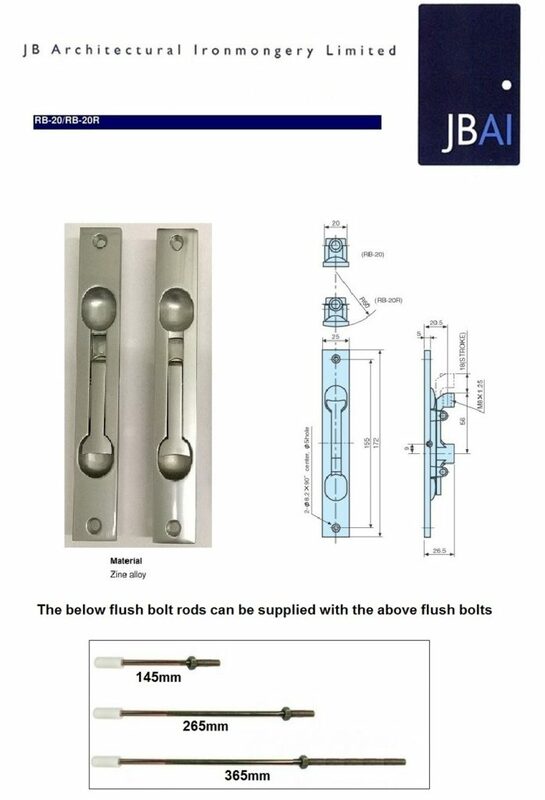 At JB Architectural Ironmongery in Newhaven, we offer a complete range of flush bolts suitable for aluminium doors. With a flush fitting to your door, these flush bolts will provide a secure and stylish solution to your property’s security. 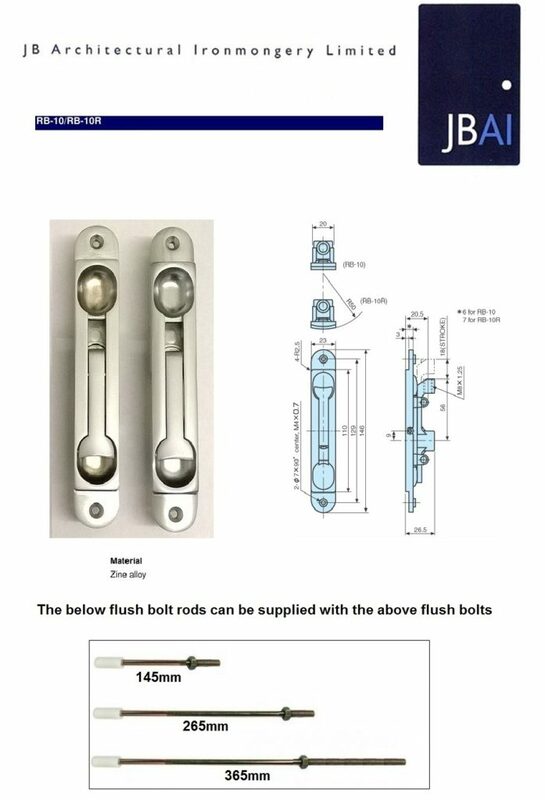 For further information or to place an order for Ryobi flush bolts, please contact us today.